Proving that elegance and simplicity never go out of style, classic gardens are all about symmetry and balance. 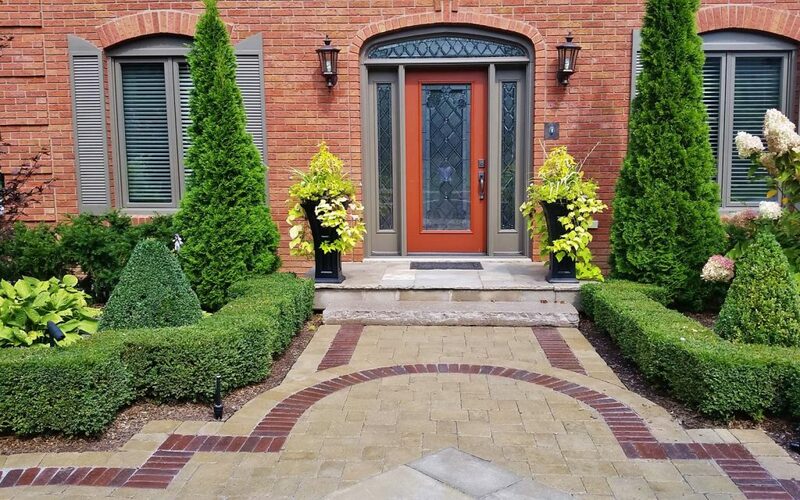 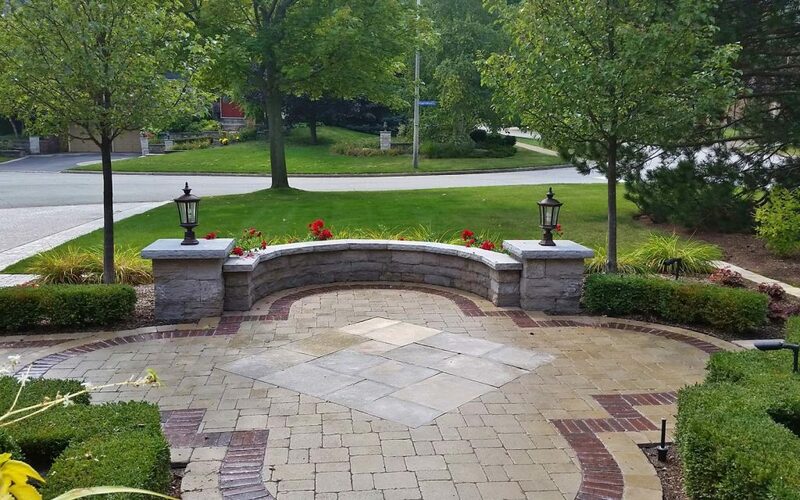 Neatly manicured, the formal style main entrance of this classic and elegance front yard interlock in Grimsby is accented by topiaries and framed by distinct edges and walkways. 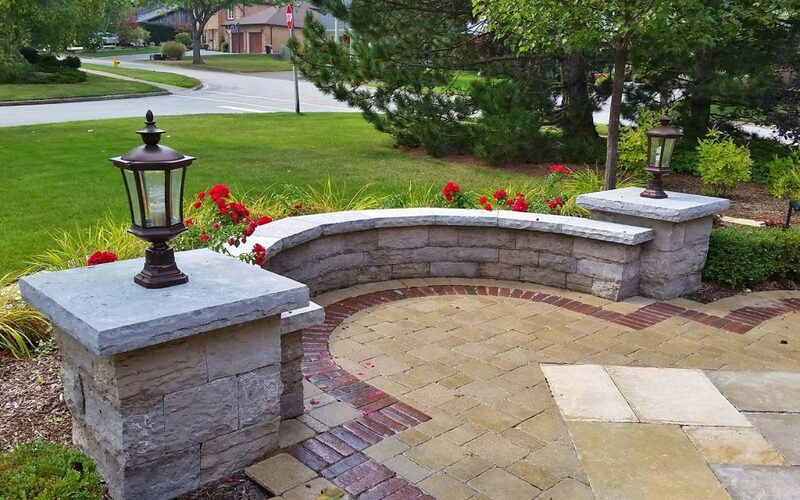 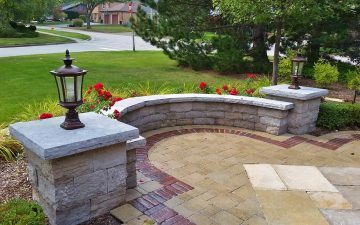 A decorative garden wall is the focal point of this design. This garden design’s symmetry, clean lines and bold geometric forms are easily recognized as expressions of timeless elegance. 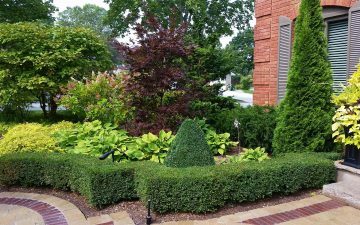 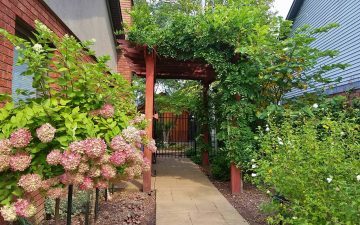 Plants, used in the garden are divided into two main groups: those with strong architectural form, and those with softer lush appearance and lavish flowers. Evergreen shrubs, columnar trees such as Ornamental Pear, and Boxwood hedging materials are all signatures of the style. 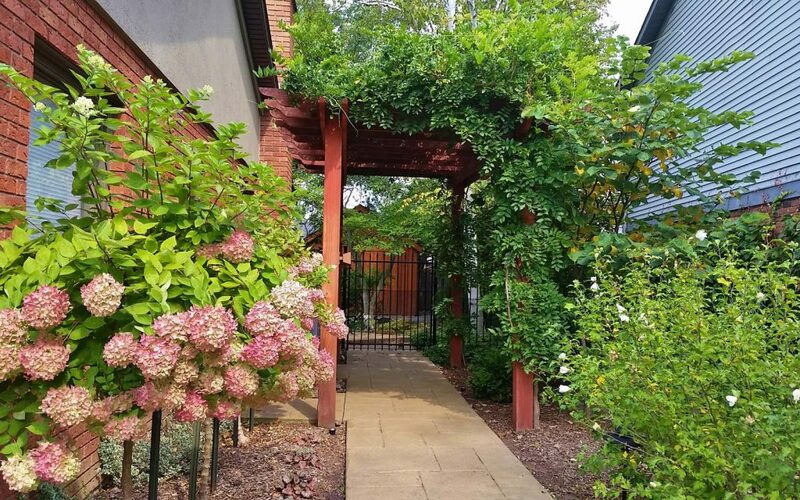 The Hydrangeas, Daylilies and Hostas each represent a different aspect of this strong floral legacy. It is the ideal landscape complement for colonial, Italian and French inspired architecture. 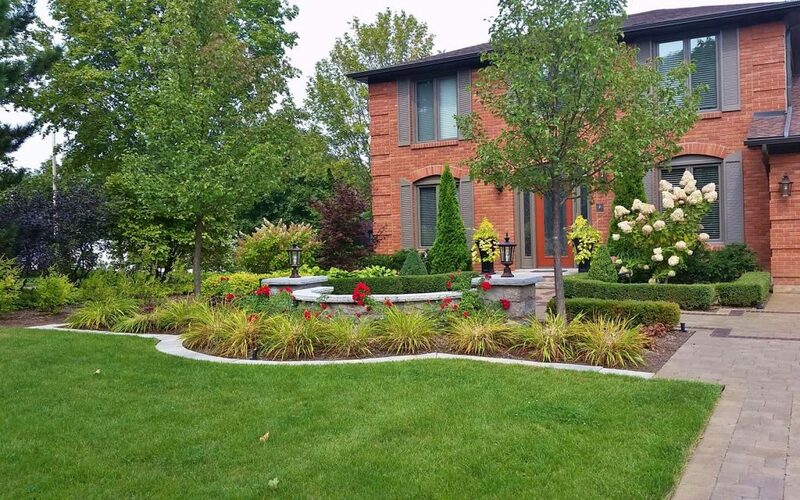 Topiary forms fit beautifully into a classic garden, potted flower arrangements give a splash of accent colour. 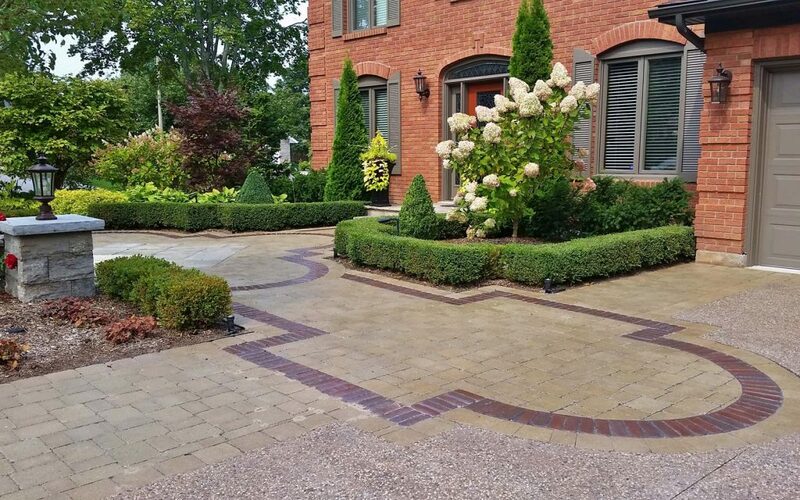 The red coloured accent raw of the brick pavers and its pattern creates dramatic effect on the house’s curb appeal, complementing the style and pallet of the structure.